Photo Provided Golden Dragon Acrobats will perform at 7 p.m. Saturday at Peoples Bank Theatre in Marietta. Photo Provided “Songs of Ireland: A Celtic Celebration” will be 8 p.m. Saturday at the Smoot Theatre in downtown Parkersburg. PARKERSBURG — The Smoot Theatre in Parkersburg and Peoples Bank Theatre in Marietta will offer three shows, including one Irish themed concert. In Marietta, Peoples Bank Theatre will present local musicians Jess Baldwin, RJ Cowdery and Leigh Stubbe performing at 8 p.m. Friday. Tickets are $15 and more information is available at peoplesbanktheatre.com. The show is part of the Stage Door “Listening Room Series” at the theater. Peoples Bank Theatre will also feature Golden Dragon Acrobats at 7 p.m. Saturday on the theater’s main stage. Tickets range from $22-$42. 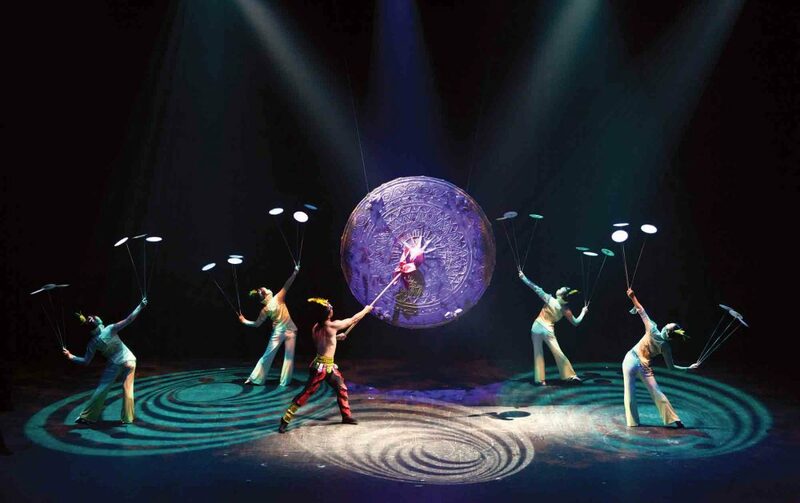 The Golden Dragon Acrobats represent the time honored tradition that began more than 25 centuries ago. The Golden Dragons are recognized throughout the U.S. and abroad as the premiere Chinese acrobatic touring company, a press release states. In Parkersburg, the Smoot will present “Songs of Ireland: A Celtic Celebration” at 8 p.m. Saturday at the downtown theater. Tickets are $40 for adults and $20 for students and are available by calling 304-422-PLAY (7529) or online at smoottheatre.com. Songs of Ireland presents an “exhilarating and unique” musical approach to universally loved songs and arias with all original arrangements drawing from Irish Traditional folk song; opera arias, duets, trios, quartets and ensembles; songs from the great American songbook; Broadway hits; and “modern” contemporary popular repertoire. The company features four tenors, four sopranos, one pianist, and three traditional Irish instrumentalists (Uilleann Pipes, Whistles, Fiddle, and Concertina) as well as some familiar faces from the popular Five Irish Tenors.